Ahhhh Christmas. The special time of year when my kids start their non-stop nagging about building a gingerbread house. This year in a bid to be the most awesome mum ever, I’ve agreed, so I better be making it onto Santa’s NICE list. 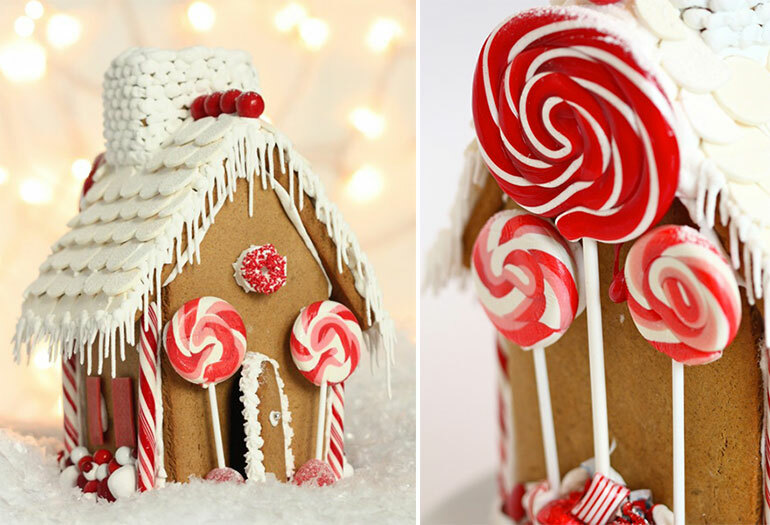 Naturally I’ve turned to the internet for some gingerbread house making inspo. 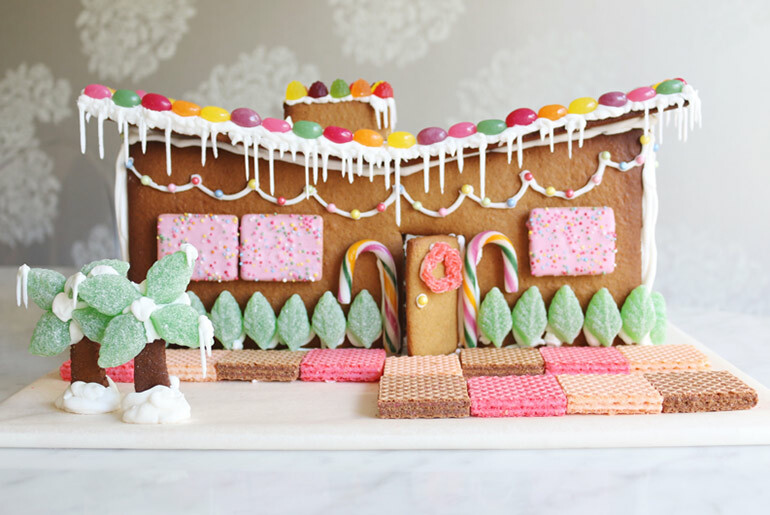 I have to say, there are some EPIC gingerbread houses out there – like architect degree kind of edibles. Alas, I’m thinking more Kmart dome tent level for myself, just to be clear. 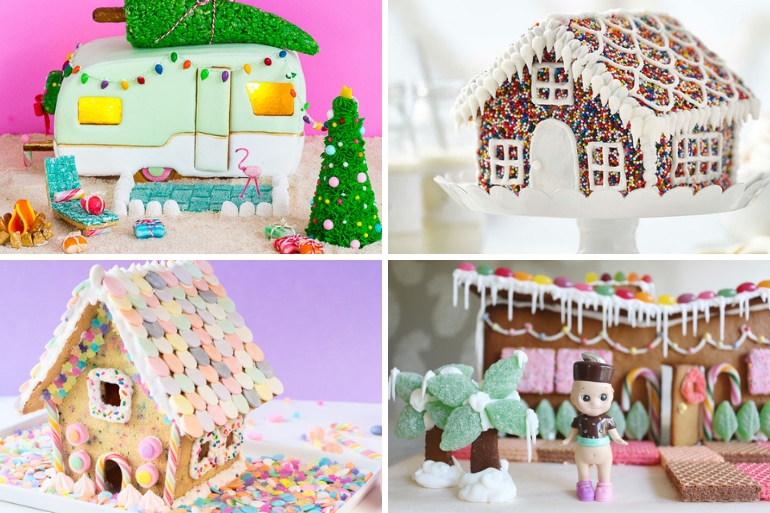 Come discover these gorgeous, doable-ish gingerbread houses (and other ginger things!). Who’s game to take the plunge with me?! 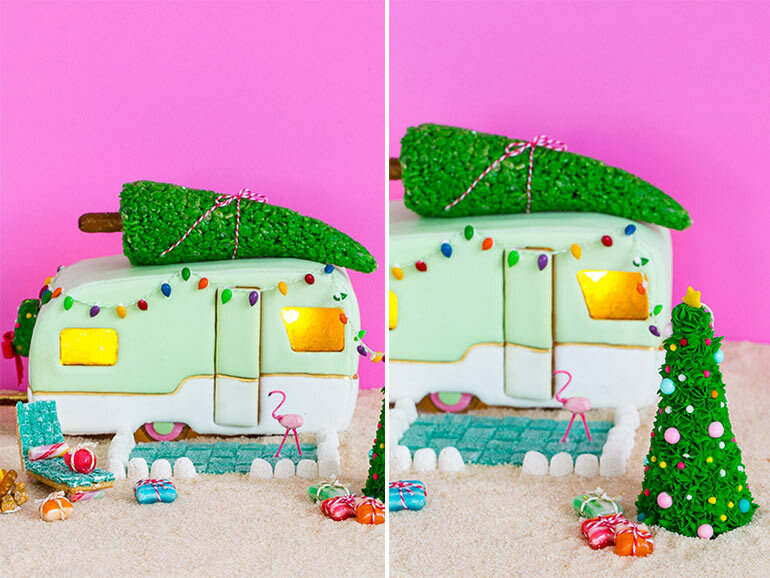 Not strictly an actual house, but a home all the same, this retro gingerbread camper is proper Christmas eye candy. If you’re brave enough to give it a crack, Sugar and Cloth goes into awesome DIY detail, recipe and all. The party house, funfetti screams of fun does it not? Technically not gingerbread, this sugar cookie alternative is fantastic for those kids (or adults) who don’t care for the heady spice of ginger. You’ll find all the fun filled details over at Studio DIY. Every puppy needs a Christmas house to call his own! 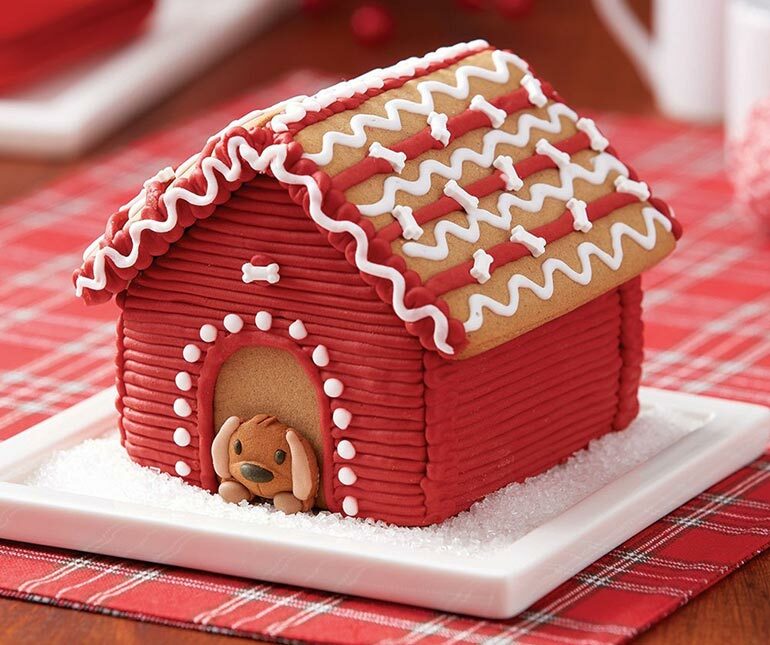 We love this easy gingerbread doghouse DIY from Wilton. If you’re truly crap at any kind of decorating, hundreds and thousands sprinkles are ALWAYS the answer. Full marks to Wilton for realising sometimes, we just ALL need an easy option. 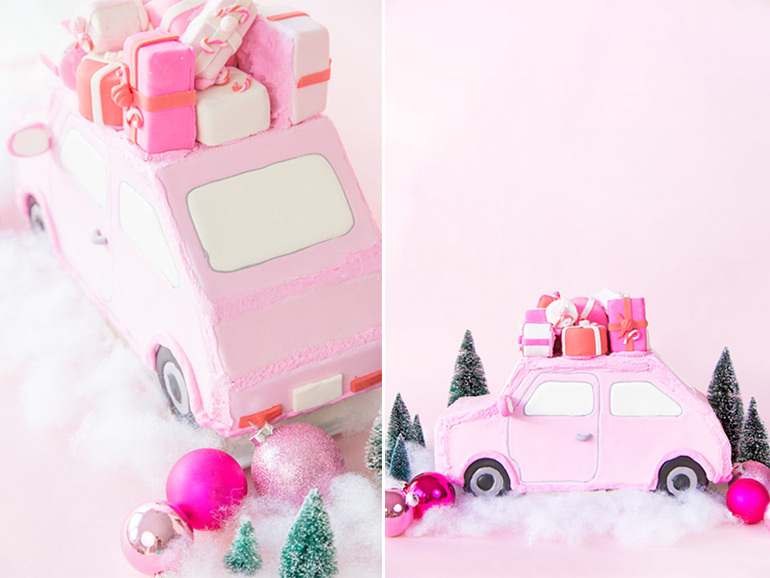 From Studio DIY, this glorious VERY PINK gingerbread car packed with pressies. I know, I know, it’s not a house. But it’s so cute I couldn’t not be tempted. AND there’s a pattern template – so it should be easy enough, yeah? My favourite ginger-filled design and one I’m desperately trying to get over the line with the kids, is this magical mid-century delight from The Creative Muster. I mean c’mon, it’s nearly cooler than Christmas itself! 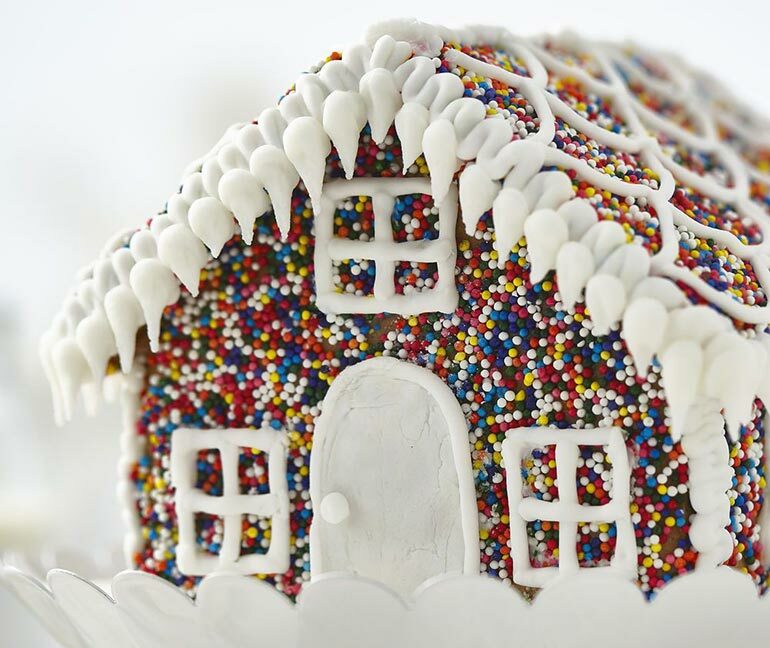 How does a cozy log cabin style gingerbread house whet your appetite? 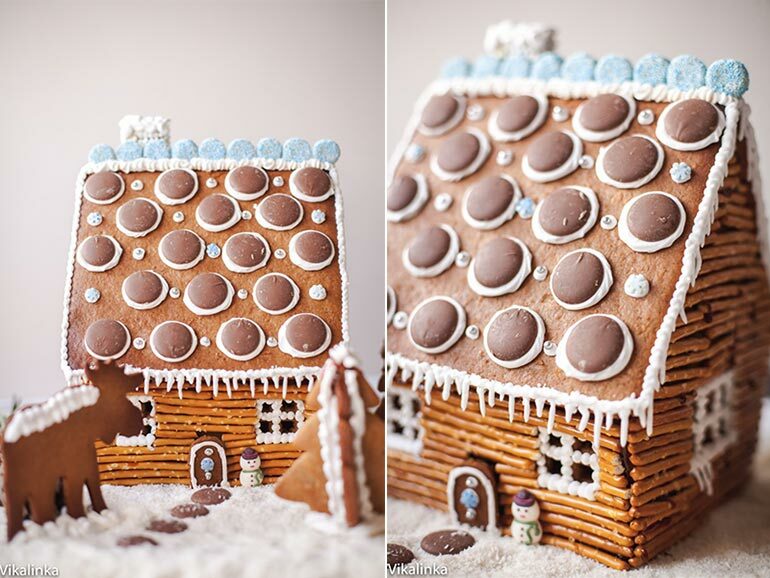 This adorable log cabin gingerbread house from Vikalinka could be gracing your table this Christmas. Needless to say, I’ll never look at pretzel sticks the same again. Sometimes smaller IS better. 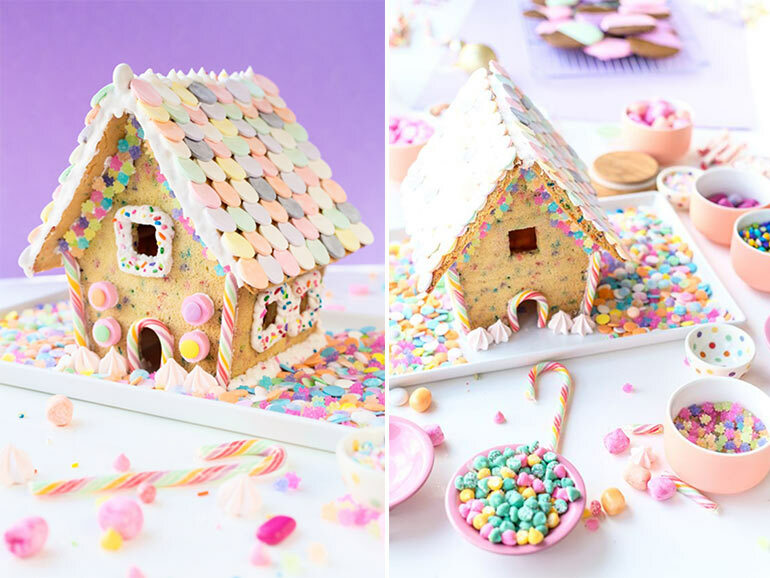 How about making a village of teeny weeny gingerbread houses? Juliette Laura shows us exactly how it’s done and how they can be free-standing or perched on a lip of your favourite cup. Swoon! 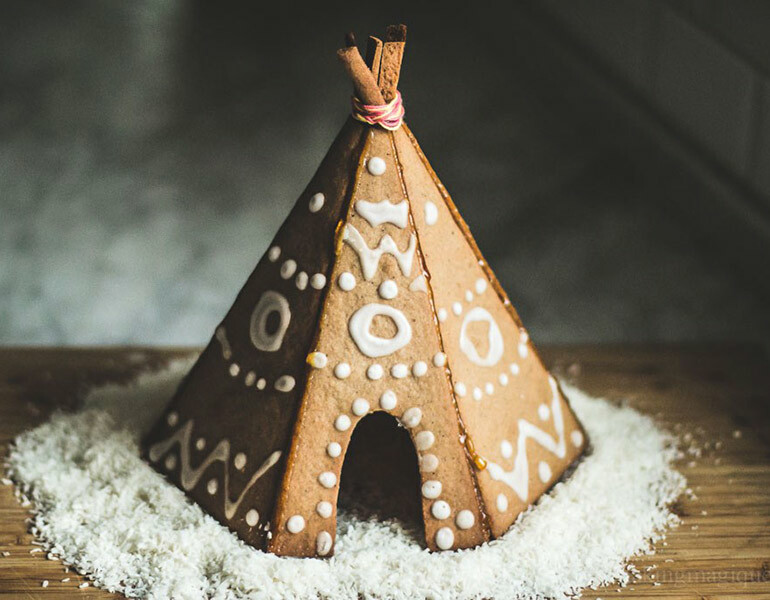 A gingerbread teepee! Cute as a button, this could be a great idea for when all the kids want their own house to decorate. Find all the details and a free downloadable template at Baking Magique. Sweetopia is undeniably, a utopia of desserts and Christmas is no exception. A printable template, full directions AND a super helpful video tutorial are all sure to come in handy. 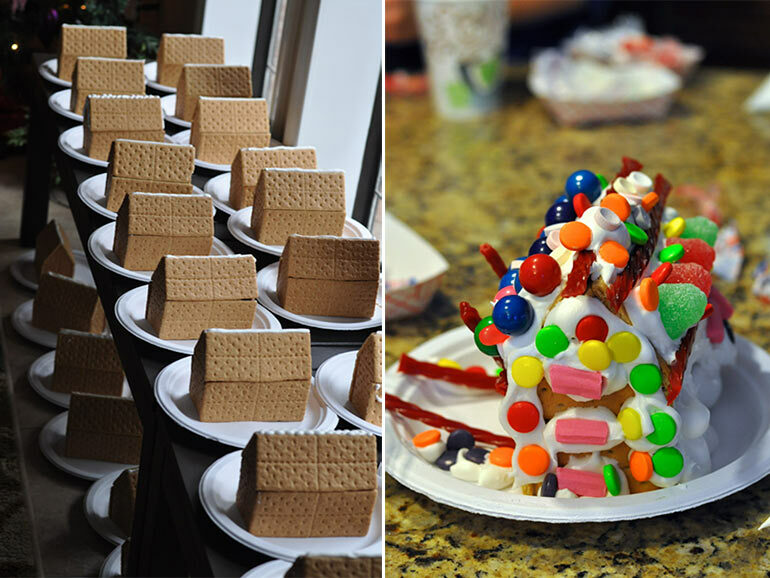 I adore this idea from Eat This Up, a gingerbread house decorating party! 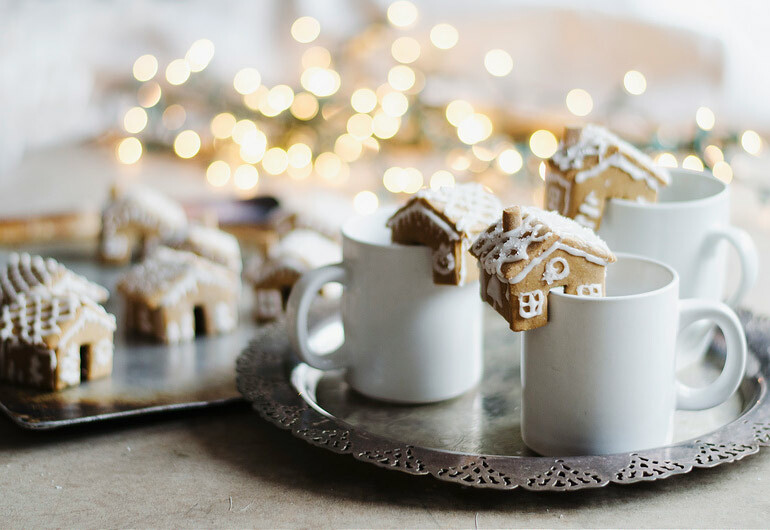 Kind of cheating but a whole lot of fun, use ginger biscuits (or any plain biscuit) to form houses and set up a decorating station for kids to create their own. If you’re having quite the crowd over Christmas Day, this would be fabulous entertainment! Happy gingerbread making everyone, may the force of royal icing glue be with you! Want some more easy Christmas treats the kids can help put together? Check out these fun festive fruit ideas, including strawberry Santas and watermelon snowmen.